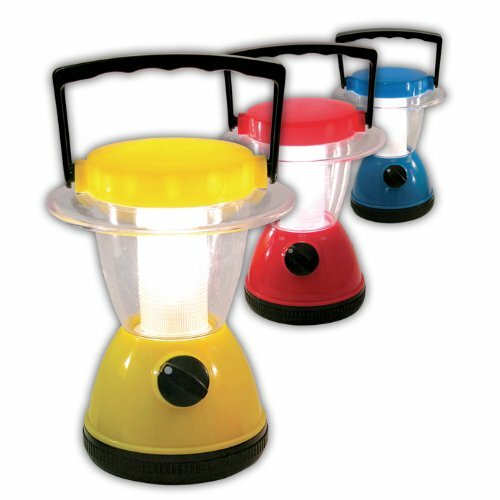 If your area tends to have frequent power outages, buying a battery powered lantern helps a lot so that you are not stranded in the dark. 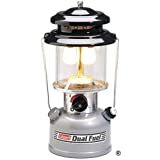 Battery emergency lanterns are safer compared to propane or gas lanterns, especially for use indoors. 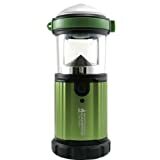 Built for outdoor use, so it’s perfect for camping, hunting, and other activity, the Coleman 4D Rugged Personal Size Lantern sheds 140 lumens of light on the High setting. Sporting a 7-watt fluorescent twin U-tube for a brighter, whiter light, the lantern runs cool to the touch for safety. It operates on 4 D batteries (not included), running for up to 23 hours on Low and 14 hours on High. Bulb replacement is a snap, thanks to the quick-release system. 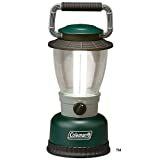 The Lantern’s rugged design is weather-resistant and shatter-resistant, including a non-slip, rubberized handle for comfortable carrying, and heavy-duty thermoplastic and rubber construction so it stands up to heavy use in the outdoors. Lantern measures approximately 11” x 7” x 7” and weighs 1.81 pounds without batteries. 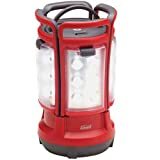 This Cole 7-watt fluorescent lantern is not designed to be super bright compared to flashlights, but it is sufficient to light up a room or during camping for a small group of 3 to 5 people to gather around. We recommend to use only the low light settings to save on the batteries and rated to last 23 hours, since the high light output of 140 lumens is actually not significantly brighter and last only 14 hours on fresh 4 D batteries. The construction is quite rugged and I have actually dropped it several times and it still works! The fluorescent bulb can be easily replaced on your own. 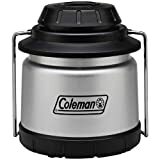 I have not seen this Coleman camping lantern selling at a cheaper price in the local sporting goods or camping stores, so the above is probably the best price online. 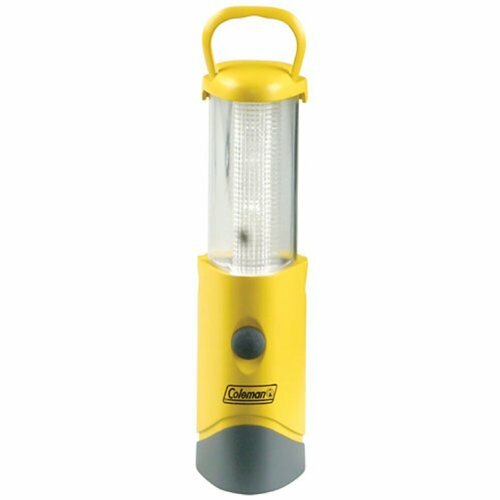 Grab a lantern and a flashlight in the palm of your hand with the Coleman MicroPacker LED Lantern. The bright, 2-in-1 design snaps from area lighting to directional lighting quite literally in a snap. The bright LED lasts a lifetime, so it never needs to be replaced. The versatile light lasts up to 92 hours, and an extremely lightweight design is only 6 oz.-even with the three AA-cell batteries that power the lantern. 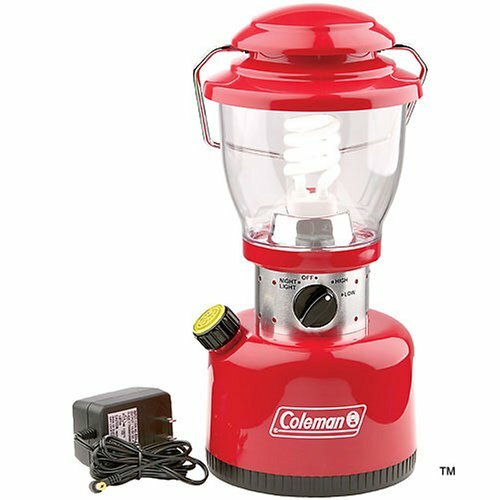 Take the convenience of four lights in one with you with the Coleman Quad LED Lantern. Together the lantern shines 190 ultra-bright lumens for up to 75 hours. During an emergency, pop one of the four lights off the base for a personal flashlight. They recharge once they’re back on the base for hands-free light. The 24 LEDs last a lifetime, so they never need replacing and the lantern runs cool so it’s always safe to touch, even when it’s been on for hours. Sierra Tools Set of 3 Emergency Lanters. Do you hear something bumping in the night? Do you hear foot steps behind you? Noises in the basement? Keep your family safe at home, in blackouts and camping. Always be prepared! 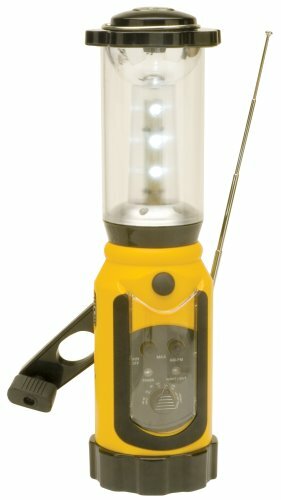 Take these emergency lanterns no matter where you go. 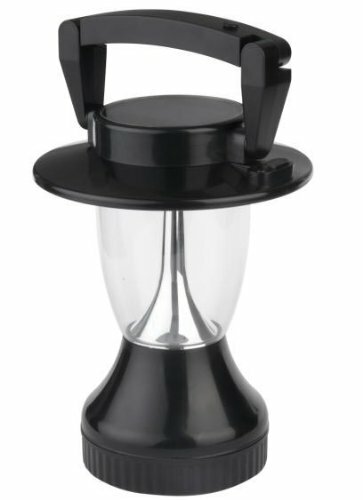 d.light S10 is a bright and durable replacement for flashlights, battery-powered lanterns, candles, and kerosene lanterns. 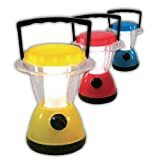 It is 3 to 5 times brighter than a kerosene lantern, and is built to survive tough conditions, including accidental drops onto hard mud or concrete, rainshowers, and intense heat and dust. d.light S10 provides space lighting for the home, workplace, or while traveling. It also serves as a task light for studying, working or cooking. 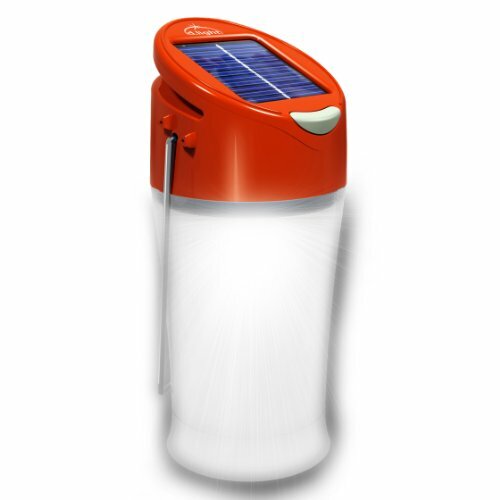 Its integrated solar panel removes the complication of installation and wires, its 2 brightness settings offer up to 8 hours of bright light, its dual solar and AC charging option allows charging even during rainy or cloudy days, and its multiple-setting handle provides maximum flexibility for any use situation. 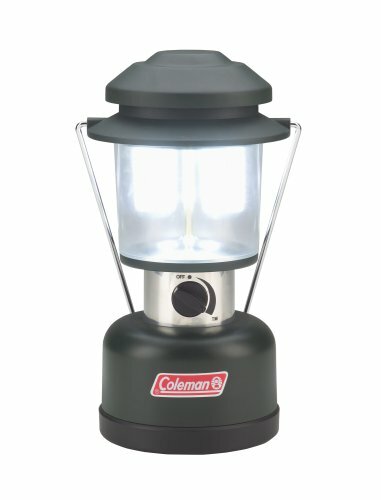 The Coleman 8D Family-Size LED Lantern is a strong, reliable light source for camping, fishing, travel, and as a standby for power outages and other emergencies. The bright, long-lasting Cree XR-E LED provides 170 lumens on the “high” setting. The innovative conical reflector diffuses and disseminates light for a wide, spotlight-like area of illumination. The lantern runs for a full 66 hours on low and 32 hours on high, with a set of 8 D-cell batteries (not included). It even sports a “nightlight” setting. 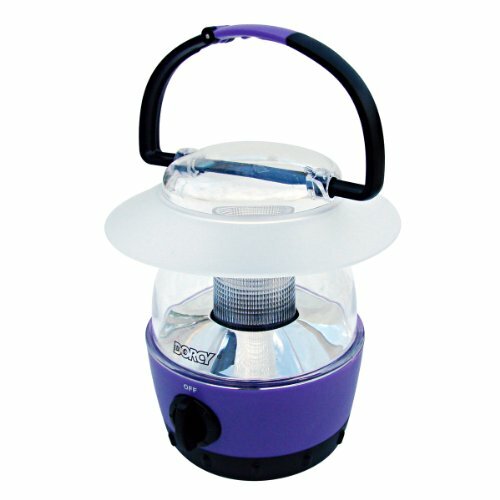 The LED Lantern is weather-resistant, with durable ABS housing, a snug fit clear globe, chrome-plated globe guards, and an overlapping ventilator top for duty in the great outdoors. A bail handle makes the lantern easy to hang up, carry, pack and store. 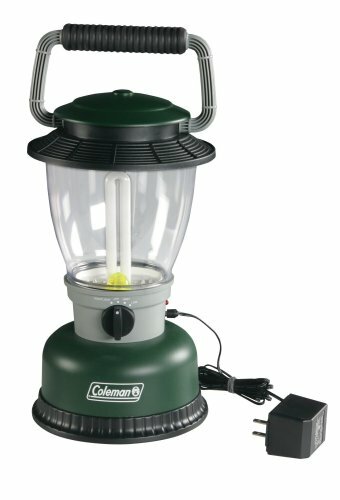 Tough and versatile, the Coleman 4D XPS LED Duo Lantern can operate as a single lantern with twelve 5-mm white LEDs, shedding 95 lumens of light — or separate the two rechargeable panels, for two separate lights shedding 48 lumens of light each. Return the panels to the lantern base and they automatically recharge! The Lantern will run for up to 75 hours on a set of 4 D batteries (not included); the panels will hold their charge away from the base for 1.5 hours. 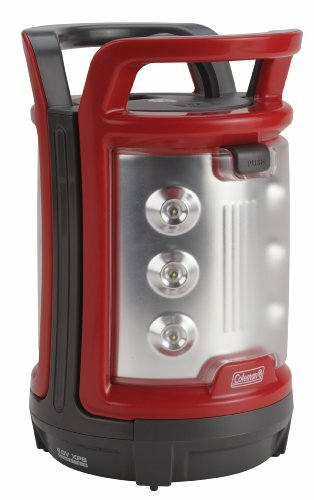 The Duo Lantern is Coleman XPS-compatible: you can use the interchangeable, rechargeable 6V battery pack, sold separately. The LED Duo Lantern features wide handle openings to accommodate work gloves, and tough polycarbonate lenses, to withstand heavy use. The Dorcy 41-1017 Mini LED Flashlight Lantern features a sleek and compact design that makes it simple to bring with you wherever you go. This lantern contains (4) super bright 5-millimeter LEDs that allow for 360-degrees of light output and a long-lasting, 70-hour run time. The 41-1017 features a convenient side-mounted rotating dial switch that makes it easy to change the level of brightness to suit your needs. Lightweight and portable at 0.69-pounds, this lantern comes with a built-in hanging hook within the handle for simple transporting and placement. Other features include 40-lumens of light provided and a beam distance of 15-feet. The 41-1017 is constructed of ABS plastic, a lightweight and sturdy material and uses a LED Forever Luxeon bulb. 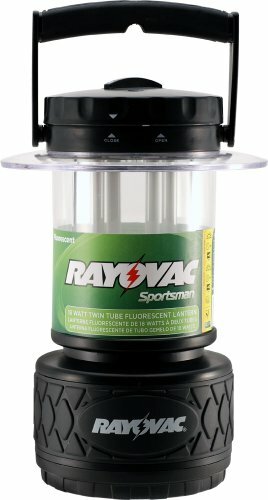 The Rayovac 8D Area Lantern features a twin-tube, bright 18-watt fluorescent U-tube bulb that lights up to a 25 foot radius. Lantern has two light modes, high and low. The extra durable rubber base and handle are water resistant. 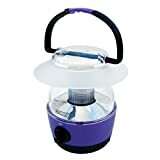 Ideal for the campsite or your emergency kit, this self-powered lantern sports a wind-up handle along with a built-in AM/FM radio and telescoping antenna. Three minutes of winding the handle provides up to 75 minutes of use. 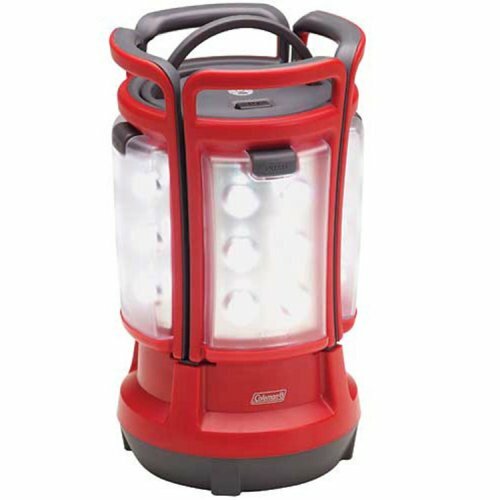 The lantern offers a low setting (three LEDs) and a high setting (six LEDs) as well as an emergency setting with six red blinking LEDs. Since the lantern requires no fuel, it’s safe and inexpensive. 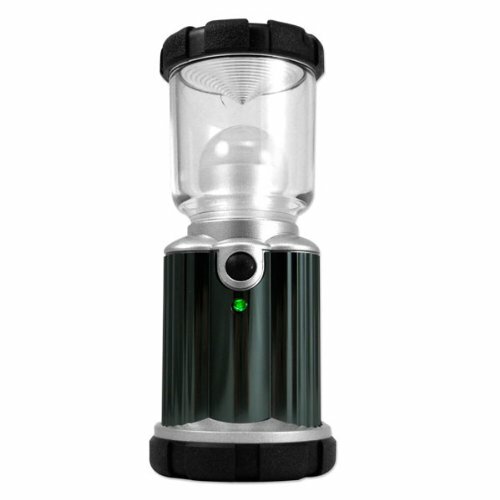 When fully charged through the 12-volt DC charger, the lantern can provide up to 15 hours of use. It can also operate on three AAA batteries (not included). This water proof solar lantern is a handy product for family outings, and outdoor activities. Water proof design, and adjustable brightness help you to light up from 5-15 hours using different number of LED lights. 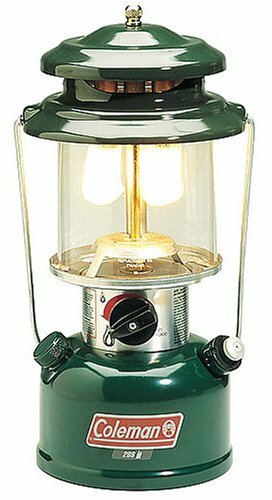 This way, it could be used as a night-light, or a serious camping lantern for your next outdoor activities. No maintenance needed, no bulb and battery replacement ever. Eco-friendly product using free solar energy. When there is no sun, it’s always good to have its dynamic powering option by hand-crank. 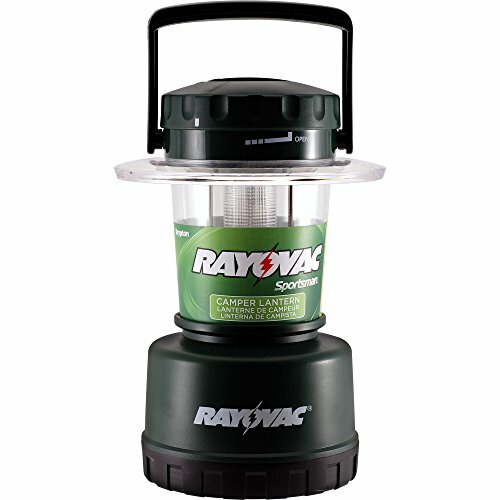 - When ambient light is needed in your RV, tent, or campsite, this compact lantern is the ideal accessory. It is safe for you and the environment because it requires no fuel and no batteries. Makes a great nightlight for kids! The famous, instantly-recognizable Coleman lantern, with the long life and quality of LED lighting. The Coleman Twin LED Lantern features two super-bright, long-lasting Cree Xlamp XR-E LEDs, shedding an impressive 390 lumens of light on the High setting. The Twin LED Lantern runs for 100 hours on Low and 15 hours on High, on a set of 8 D-cell batteries (not included). The durable housing is weather-resistant, so it will stand up to outdoor use. Color: green. Metal composite. Kerosene oil powered lantern. Can be used indoors, outdoors, camping and hurricanes. Adjustable cotton wick. Water and wind resistant. With wire covered glass globe. Red color. Dimensions: 12″ x 5.5″ (inches). Superior quality LED lantern powered by the XR-E CREE warm white LED. Tender warm white light protects your eyes in dark environment. Features with 3 different mode – High, Low and Flashing mode. Comes with a carabiner clip, you can hang it on a tree or tent. Durable aluminum housing and it is water resistant, perfect for hiking, backpacking, fishing, camping, or emergency home use. Small in Size – Dimension: 5-Inch x 2-Inch x 2.5-Inch Long battery life, uses 3 AA batteries (Alkaline Duracell batteries included) – 24 hours on High, 48 hours on Low, 55 hours on Flashlight. 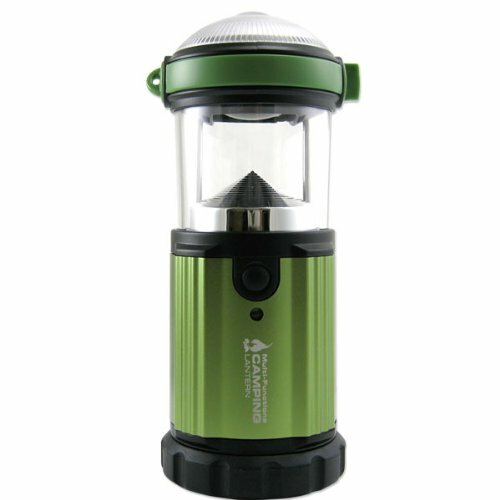 This multi-functional water-resistant LED lantern/torch illuminates at 185 lumens. 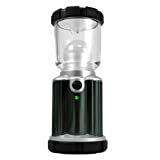 It can be used as a lantern to provide area light or switch on the magnifying lens to provide focused directional light. It has options to operate with full light, low light, or flashing light. The battery life lasts for 25 hours of usage at full capacity, 45 hours at low capacity, and 50 hours at flash. The LED lights never need to be replaced. A rotatable hook is built into the lantern base. 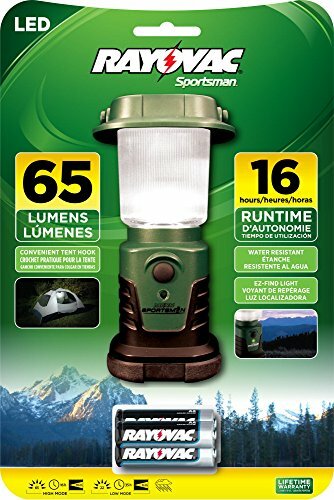 The package includes a convenient carrying strap, a carabiner, and four Duracell alkaline batteries to operate the lantern right out of the box. 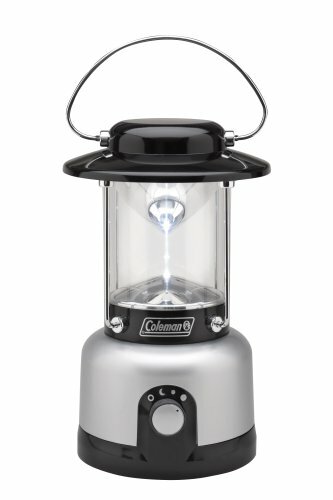 After dinner, when you head to the tent, light the way with the Coleman Pack-Away LED Lantern. Take the weather-resistant, protective collapsible lamp anywhere you need extra light. Choose from three settings: high, low, nightlight and off. With a runtime of up to 18 hours on high and 40 hours on low, your weekend trip will be over long before you need fresh batteries. The large handle makes it easy to carry anywhere, and the reduced-glare, cool-touch Cree LED lasts a lifetime, so it never needs to be replaced. Make the DEWALT DC527 18 Volt NiCad Fluorescent Area Light the first light you reach for in the dark. The 13 watt fluorescent bulb lights up for a work area for hours on a single charge without getting warm and the “twist-and-lock” lens cover allows efficient and simple bulb changes. It’s light weight with a stable base and easy to hang from its pull-out hook. 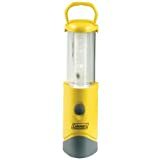 Use it with either your lithium-ion or NiCAD DEWALT 18 volt batteries in any place you need a bright, portable light. If you need to use battery lanterns frequently, a good way to save on battery costs is to buy Coleman rechargeable lanterns. 2000000867 Features: -9-watt fluorescent twin U-tube.-Emergency-on circuit lights automatically during power failure.-Operates up to 6 hours on high or 9 hours on low, using fresh fully charged battery. 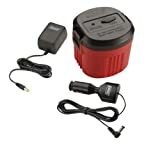 Includes: -Rechargeable from 120V AC outlet or 12V DC port (adapters included). Color/Finish: -Amber colored nightlight. Dimensions: -13.5” H x 10.13” W x 10.13” D.
With the Coleman 6V XPS Rechargeable Battery Pack, you can turn any Coleman XPS product into a rechargeable device! 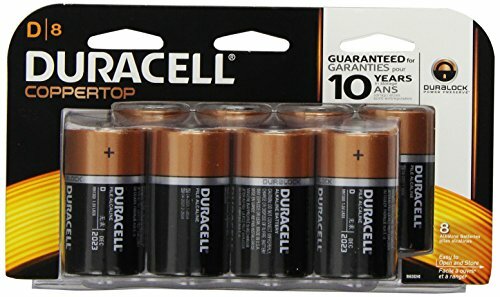 The XPS battery pack takes the place of 4 standard D-cell batteries; it’s fully rechargeable with the included 12V and 120V adapters. For convenience, a built-in LED changes from red to green when the Pack is fully charged. The XPS Battery Back is an economical, way to run your Coleman battery products. The famous Coleman lantern quality, with the versatility of Dual Fuel engineering — the Coleman Premium Dual Fuel Lantern will run on 1.3 pints of clean-burning Coleman Fuel, or unleaded gasoline! A single full tank provides 14 hours of burn time on Low, 7 hours on High. 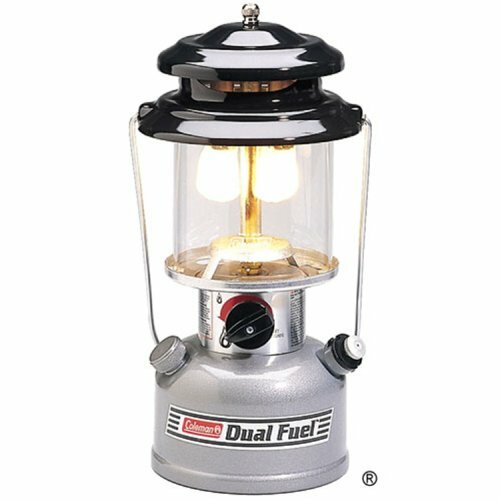 The Premium Dual Fuel lantern lights easily with matches; the 2-mantles design uses standard #21 mantles (included). The Lantern features adjustable light for convenience, with porcelainized ventilators that resist rust. 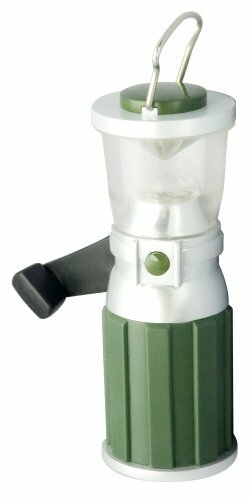 A filter funnel is included for clean, easy filling. Lantern weighs 3.81 pounds.